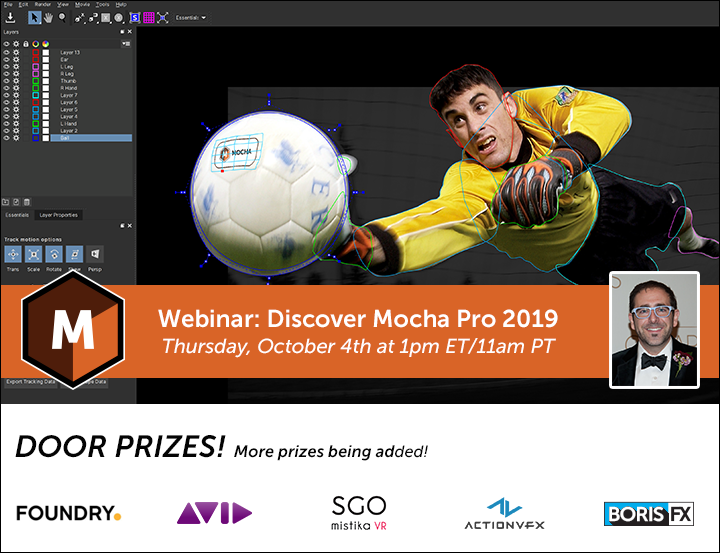 Join VFX guru Ross Shain for this exclusive live event covering Mocha Pro 2019. Featuring new spline tools for masking and roto, new GPU-accelerated object removals, new tools for 360/VR, and the updated Mocha Essentials workspace. Discover how the brand new Mocha Pro 2019 will speed up your tracking, roto and VFX workflow! Shipping next week! 5x - ActionVFX is giving away a $200 store credit to 5 lucky winners.